Living the Luxury Lifestyle Dream! Drive Exotic Supercars on GrandSport Speedway a Real Race Track! 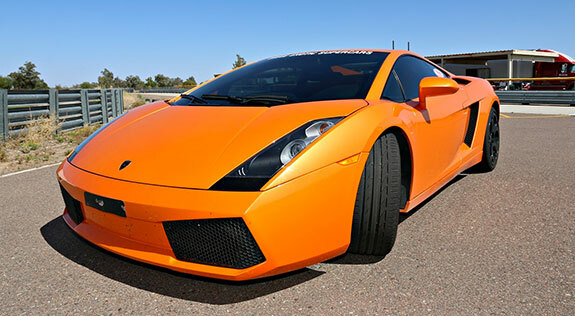 At Racing Adventure’s Exotic Supercar Experience you can enjoy, the speed, the sound, the smells and the thrill of a very special Exotic Supercar all on real racetracks! Driving a Supercar is an experience that few others have had but many dream about. Check it off your bucket list. Show your friends the pictures and tell them the story about your incredible day on the track. Racing Adventures allows you to choose your favorite World Class Exotic Supercar for an Extreme Experience from our unique Exotics Racing Supercar fleet and drive them on the track including Shelby Cobra Spec Racers, Corvette, Ferrari, Lamborghini, McLaren and Porsche GT3. No Experience is required to drive our supercars on the race track. We will teach you everything you need to know and be beside you in the car all along the way! We are the gold standard in the industry! We have more track days available in our cities for you to choose and spend more time with you than anyone in the business! Book multiple cars, mix and match and receive 10% off your total by using the code word ‘multipledrives’ at check out! What to expect the day of your Experience. A Short 15 minute welcome and chalk talk session that will teach you some really cool basic track craft. 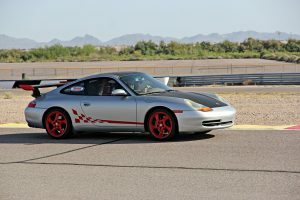 Our chief instructor will then take you on a track familiarization tour and give you some tips on car placement, visual cues, braking points, the racing line and more. Then it is your turn to take the wheel and drive your adrenaline pumping lapping Session(s) in the Exotic Supercar or your choice with your professional racing coach at your side. The complete experience from start to finish will be around two hours, and what a drive! The smiles and high fives show us that we and the cars are doing our jobs and creating your memories! You can always add more cars and laps once you are at the track or even after you finish your drive. Just ask us and we will set you up! All the cars are Automatic/Paddle shift except the Cobras. After your laps in your Racing Adventures Exotic Supercar a digital photo of you will be taken by the car that you drove and included for free! You can take that photo and show all your friends and family the Exotic World Class Exotic Supercar that you raced around the track! Racing Adventures knows what it takes to make your luxury lifestyle dream experience the best it can be. That is why you will not see our exclusive Racing Adventures programs go on sale on any discounted daily deal sites because that is not who we are! In life you always get what you pay for. We are the best. This is why we have been around for over 30 years! THEY CALL IT AUTOCROSS – Don’t spoil your experience with other Dream Car Exotic Supercar operators that run 30mph in parking lots around a sea of orange cones. Watch their videos online before you buy. Other Extreme Experience Exotic Supercar companies put you in a slow lead follow session where you only get to go as fast as the slowest driver in your group! They will allow you to pass but that usualy takes a lap or two and is kinda dangerous. They line you up like cattle in steel gates to wait for your drive. Get in and get out! We don’t think that is very good customer service. We take our time with every customer! Other operators may only show up in your city one or two times per year which makes it difficult to book an appointment or redeem a gift certificate. What if it rains?? They are Rusty when they finally get there. What if something comes up and you miss your date? If you miss that date you may have to wait another whole year to drive your dreams. We have heard that sometimes they book track dates and don’t show up at all or don’t pay their bills and get kicked out of the track! Please be careful! Racing Adventures has more track dates in our cities for you to choose from in more convenient time periods than anyone else in the industry because we are really in the Racing Experience business and have been for 30 years. You will have greater flexibility with Racing Adventures than any others! We want your once in a lifetime’Bucket List’ Experience to be un-rushed and enjoyable. Remember, you always get what you pay for! Racing Adventures is not new to Exotic World Class Extreme Supercar Experience and the high performance driving industry as we have been successfully providing racetrack experiences to people like you for over 30 years at multiple locations in two countries! REDUCE YOUR STRESS WHEN PURCHASING! Purchase an open date and/or open car choice gift certificate and use it at any of our locations on any date on our schedule. Allow the recipient to choose a date and car later and don’t worry about it! We have been in business for 30 years and will still be around when you want to redeem your certificate. Car damage protection is mandatory and is available both online and at the track. ON DATES AND SCHEDULING…. We get many calls from people wanting to do this experience on the gift recipients specific birthday or anniversary. They sometimes become discouraged when that date is not available on our schedule. Don’t fall into this trap! This is such a significant life event, bucket list type experience that the recipient will not mind waiting to get onto the track with us on a later Racing Adventures scheduled date! Just purchase an open date certificate. It is worth the wait! CLICK HERE TO SEE CARS, DATES AND DETAILS! SELECT THE CAR THAT INTERESTS YOU FOR MORE SPECIFIC INFORMATION ON DATES, TIMES AND TO BOOK YOUR EXPERIENCE! ALL THE CARS EXCEPT THE COBRA REPLI-RACERS ARE PADDLE/AUTOMATIC TRANSMISSIONS. DRIVERS MUST BE AT LEAST 24YRS OLD AND A VALID DRIVERS LICENSE. COMBINATIONS MAY NOT BE SPLIT BETWEEN PEOPLE.